Hello! It's spring and Easter is coming up so stores have all kinds of Easter stuff out right now. I decided to take advantage of that fact and pick up some Easter Egg kits to dye some yarn! 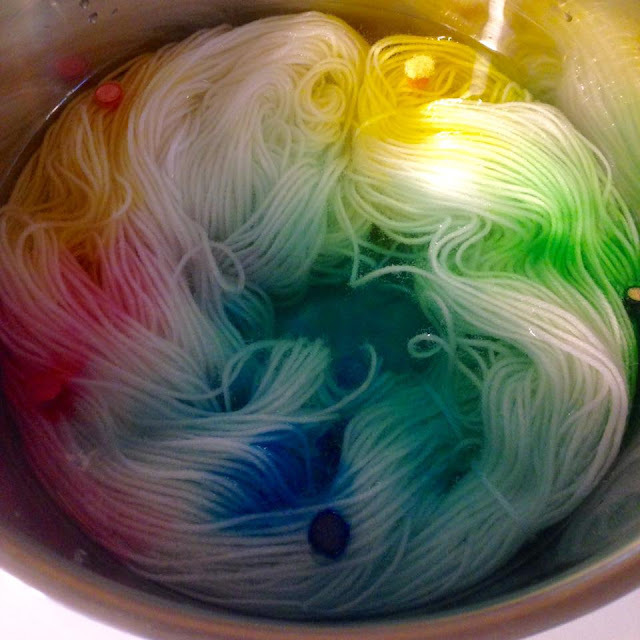 I have dyed yarn with Kool-Aid, with a Tie Dye kit, Wilton's food coloring, I've even experimented with dying yarn with plants but I've never dyed yarn with an Easter Egg dye kit, so I thought it would be a lot of fun to try! For the video tutorial and the written instructions, scroll down. 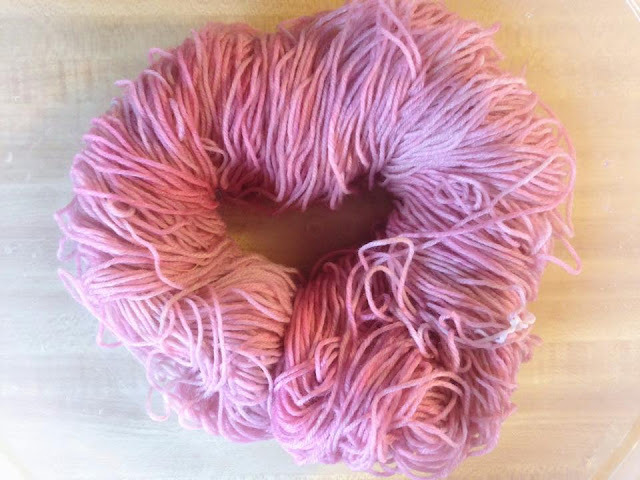 This method of dying yarn with Easter Egg dye is fun and easy and the results can be very different depending on how much dye you use and how many colors you decide to use. Today I dyed 2 different kinds of yarn. The first one, I used multiple colors on white yarn and it turned out so pretty and I loved the technique so much that I decided to dye purple speckles on a yarn that I had dyed pink previously. The pink yarn was an experiment that I posted on my facebook and instagram. The yarn didn't turn out anything like I expected, instead of a rainbow of colors, it turned pinks! Pretty and surprising conclusion, but I decided to add purple speckles to it as well to make it more interesting. This technique of dying speckled yarn is a lot of fun and I encourage ya'll to give it a try! I love how my yarn turned out and I can't wait to crochet with it. - A bowl of water or multiple bowls of water if you do not have running water nearby. Remove the yarn from the water and vinegar and gently squeeze out the excess water. Take the fork, dip it in the bowl of water, then dip it in the crushed powder and start applying it to the yarn. After each color, make sure to rinse the fork so you do not mix the colors. 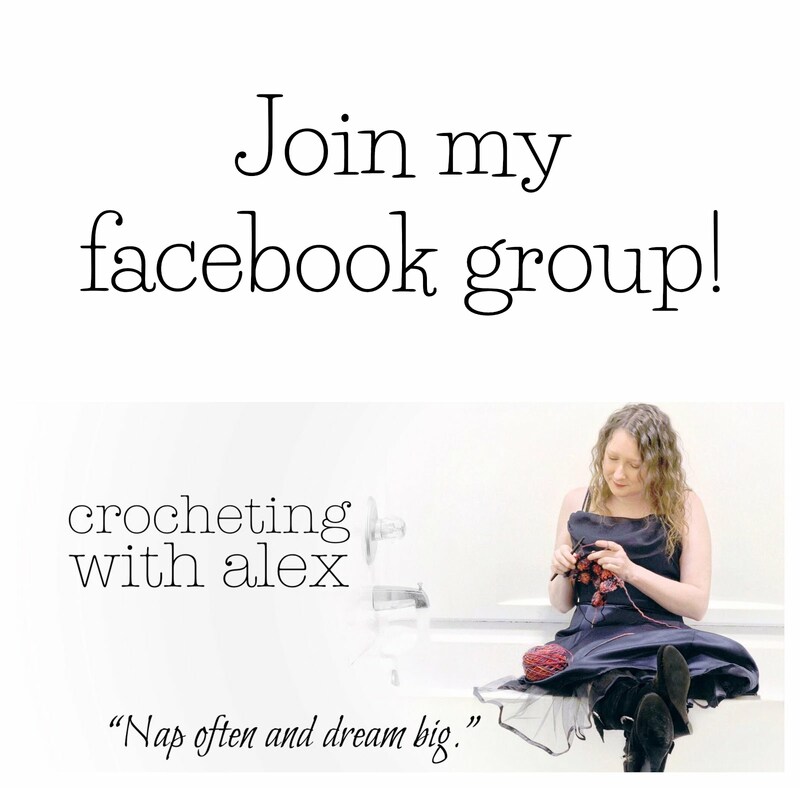 I caked my yarn and I've started crocheting with it!